As military families deal with moving delays on top of typical change-of-station shenanigans, leave it to a bug the size of a pinhead (well, maybe three pinheads) to complicate matters. 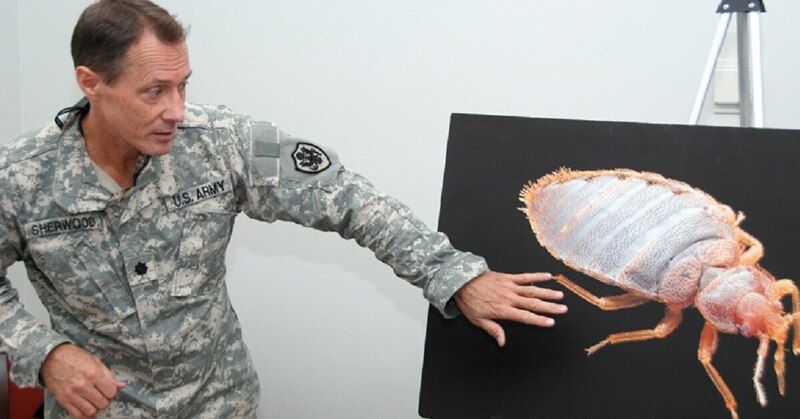 Bed bugs have enjoyed a resurgence in recent years, to the chagrin of frequent travelers, as well as New Hampshire veterans seeking medical care, and a military family on the move in Italy. Q. Do I have bed bugs? A. An itch isn’t really enough evidence: Check for reddish-brown marks on your sheets or blankets, or for the bugs themselves, which tend to cluster on fabric. Q. I don’t see anything, but I’m itching like crazy. A. Your body may not react to the bites for days, even weeks, after they’re inflicted. So if you slept in a hotel or temporary military housing and started itching the next week, the bugs may have been left behind. Q. I see what looks like bed bugs, but I’m not itching. They could be new arrivals, or you could be one of a small but significant amount (20 percent or more) of people who have no reaction to the bites. Q. But my house is spotless! A. No argument. It looks fantastic. But the bugs don’t feed on filth, just blood. A clean house won’t keep them away or prevent them from multiplying. Q. We’ve been settled in for months. Where’d they come from? A. Some bed bugs can go months, even more than a year, without a meal. If you’ve just gotten around to unpacking some linens, they could be setting up shop in their new digs just like you are. Q. I want them dead. Wash everything in hot water (120 degrees or more). Dry everything on the highest setting for at least five minutes. Vacuum mattresses, box springs and carpets. Empty the vacuum into a sealed plastic bag and get rid of it. Q. Do I need to see a doctor? A. Probably not. The bugs aren’t known to spread disease, and the largest health risk comes from skin infections brought on by excessive scratching. Q. This sounds terrible. How do I prevent it? A. A quick inspection of linens, either yours or those at your temporary lodging, may avoid the problem. Check over that secondhand furniture before you buy it. And while dirt doesn’t attract the bugs, a cluttered area with plenty of hiding spaces may allow them to survive some attempts on their lives. Get more on bed bugs from the CDC here.